In this workshop, we experiment with Trapunto techniques by adding color. 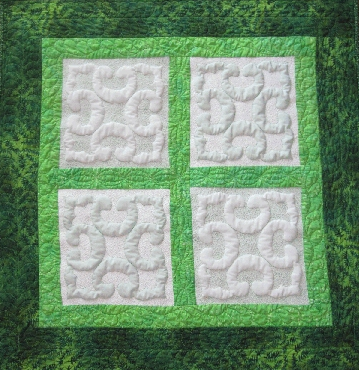 There are four blocks in this 26” quilt; two of them bring color into the background while the other two have color in the Trapunto area. Recommended for the intermediate quilter with some free motion experience.